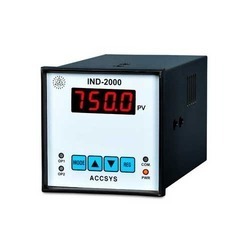 We are a leading Manufacturer of coil resistance tester, digital ohmmeter, temperature indicators and process indicator from Chennai, India. 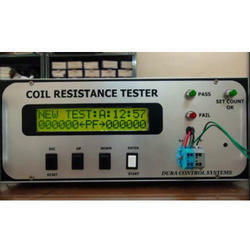 Backed up by rich experience, we are presenting a range of Coil Resistance tester to our customers. The range of our products is perfectly in best quality. It has been designed based on application specification. 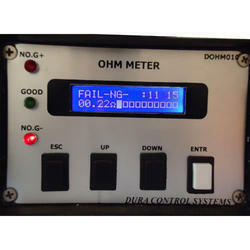 It can measure and test at a range from milliohms and produce accurate readings. A LCD display for showing values. More optimizing it is easy to use. Accuracy : ±0.1 % & ±0.5 %. We are the leading producers and suppliers of different types of Digital Controllers. We are responsible for the production and supplying of Digital Ohmmeter, which are made out of high grade raw materials and technologies. The products are used in various types of industries, including food processing and chemical industries. Our affordable products are long lasting in nature and come with attractive designs too. Our products are quality tested by our experts. Our clients can avail from us, an array of Digital Temperature Indicators that is known for its accuracy, compact design, versatility and reliability. Further, these are manufactured using quality material, components and spare parts, which are sourced from the trustworthy vendors of the market to ensure durability and quality of the final output. Available in various specifications, these can also be customized as per the clients specific requirements. 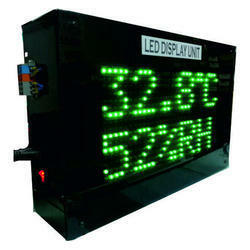 Furthermore, we offer these Temperature Indicator at industries leading prices. An extensive range of Process Indicator can also be availed from us. We use quality tested raw materials and advanced technology methods in manufacturing these indicators. Due to their outstanding features and unmatched quality, these indicators are widely demanded and accepted by our huge client base. Moreover, our quality controllers checked each product on several quality parameters to ensure that they are free from any defect.